I don’t like to be embarrassed. I’m not sure how many people do, but today’s blog isn’t about them; it’s all about me. Fact is, last year I wanted to lose some weight and exercise more. I do weigh three pounds less now than I did a year ago. Unfortunately, my idea of “some” was more like fifteen pounds. And I did exercise more than the previous year, but not as much or consistently as I wanted. I know exercise is linked to my weight. When I exercise more, I generally weigh less than when I don’t. A small part of that link is causal; that is, exercising burns more calories and ergo, I’ll weigh less than I would have without the exercise. But mostly the link is mental. My weight is heavily (you may groan at the word choice) influenced by what and how much I eat, much more so than it is by my exercise. Which brings me back to embarrassment. I believe that my desire to not embarrass myself is stronger than my need for a few extra calories, but for this to work I need your help. At the end of each month, I’ll post two charts on my blog. 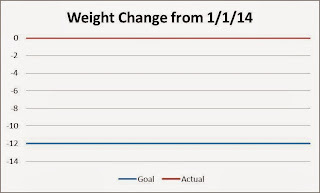 One measures weight (with a goal of reducing and then maintaining my weight twelve pounds less than today). The second illustrates the amount I exercised (with a goal of a minimum of 250 “Cooper Aerobic Points.”)[i] Here are the charts at time zero. Not very exciting, I admit. But here’s where you, my readers, need to play your part. With this post I am committing to you that I’ll post the revised charts at the end of each month throughout 2014. I won’t need your comments if the charts show appropriate success—but I do want your comments if I backslide on these goals – or even worse, if I stop posting the charts. I do not want to embarrass myself, but if I do, I need you to let me know you are paying attention, and maybe that will be just the spur I need to refocus and meet these goals. [i] Cooper Aerobic Points are my name for the method invented by Kenneth Cooper to measure amounts of aerobic activity in this groundbreaking book, Aerobics, published in 1968. 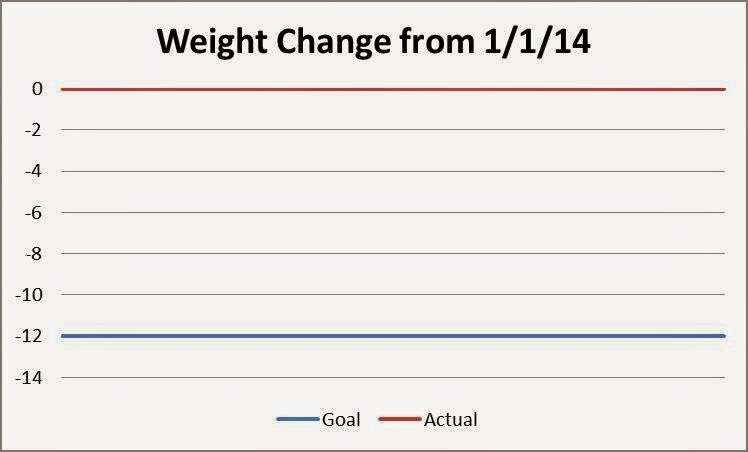 Later expanded to recognize that the length of exercise had a cumulative effect, he revamped the chart. 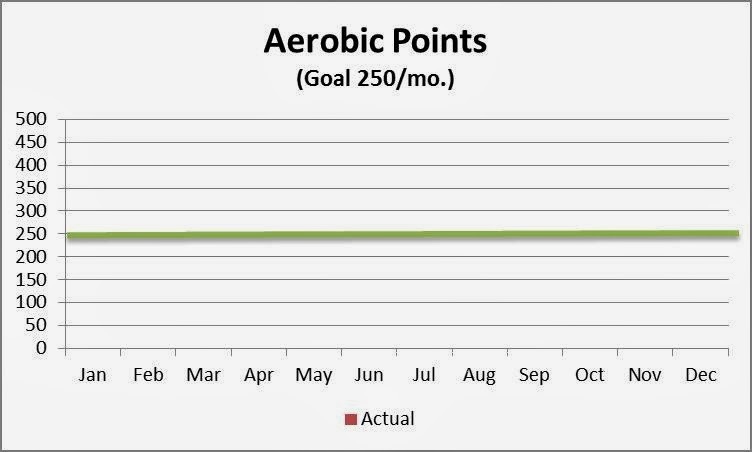 He determined that 35-40 points a week is a decent goal for aerobic health. 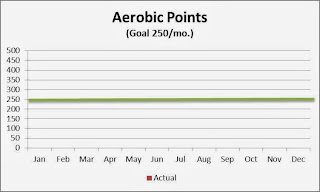 I’ve always found that wasn’t quite enough for me to get the psychological benefit of exercise to kick in, and so I’ve set the monthly goal at 250 points. You're a brave man, Jim Jackson. I need to lose 12 lbs as well but no way do I have the stones to put it out there for public consumption. Instead, I'll face up to my successes and embarrassments vicariously through you. Thanks!